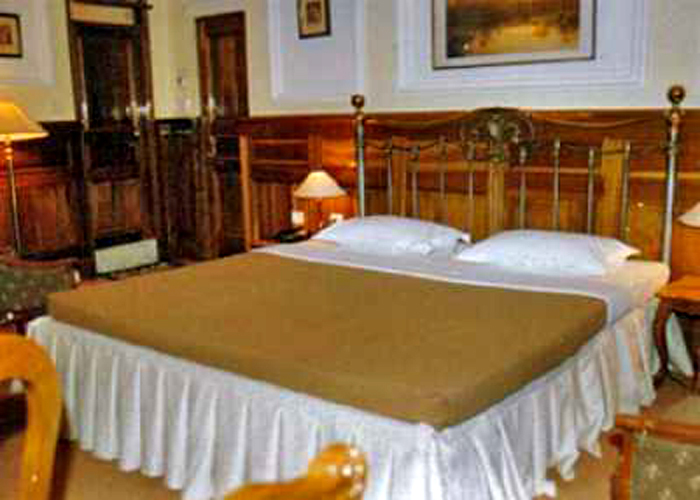 Accomodation : Gangtok Hotel New Castle unfolds as many as 15 stylish rooms. All the rooms are very cozy and take pride in their opulent ambience. In fact this hotel claims to be one of the premier hotels in Gangtok for featuring such high standard rooms. However apart from the look of the rooms the feature that truly sets their distinct status in the hospitality industry of Gangtok is the availability of scores of latest comforts. Some of the very common modern amenities of these rooms are Remote Controlled C.C.T.V., V.C.D. on request, Telephones, Attached Baths, 24 hours running hot & cold water, Room Heater, Hot Bags on request and so on. Amenities : Gangtok Hotel New Castle features excellent additional facilities and services that give extra comforts to guests on their trip to Gangtok. These carefully devised facilities are room service, internet facilities, laundry, doctor on call, money exchange, internet facilities and others. Its exclusive facility that deserves special mention is easy access to S.B.I. & U.T.I ATMs and acceptance of major master and VISA cards. Dining : Hotel New Castle in Gangtok is a real paradise for gastronomes. Located in the beautiful vicinity of Gangtok, this hotel features an array of eateries that serve most delectable recipes. Its Dolphinn, the multi cuisine restaurant is very popular in whole of Gangtok for offering an a la carte menu listing Indian, Chinese, Continental and special Mughlai delights. Its Sikkim House is another stunning onsite food outlet that serves authentic ethnic delicacies, snacks and traditional brew called Chaang along with some Indian produced foreign liquors. Besides, it also has a bakery called Loaf Bakery for featuring tasty bakery items and mouth watering fast food items. 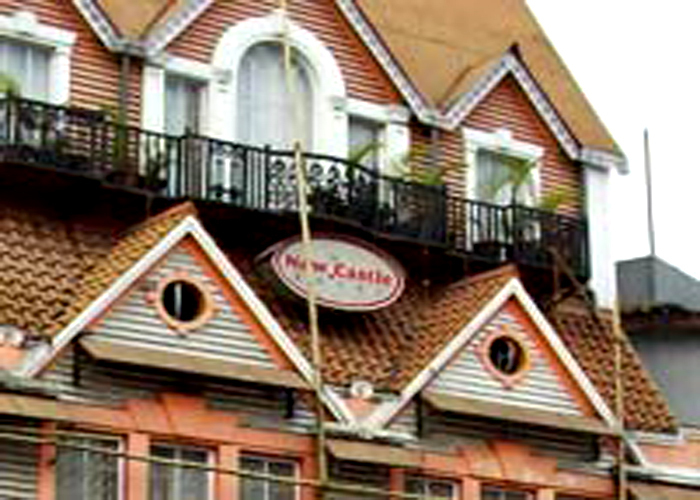 The Hotel New Castle in Gangtok is one of the very sought after premium hotels in Gangtok. 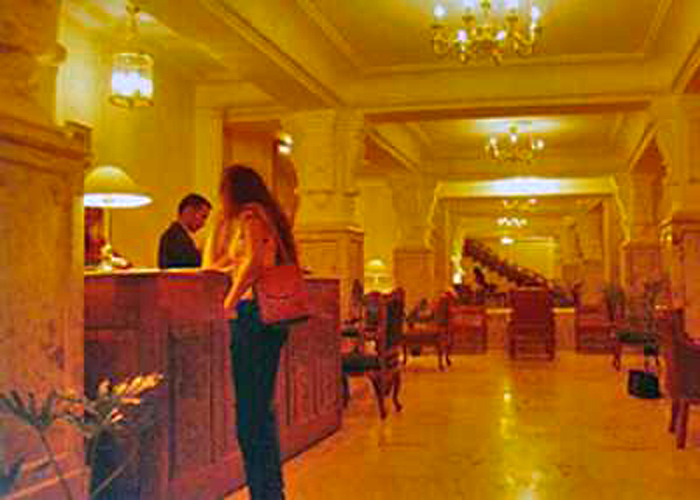 It boasts of a blend of Victorian and Georgian architectures that leave lasting impact on the hearts and minds of both the business and pleasure travelers. 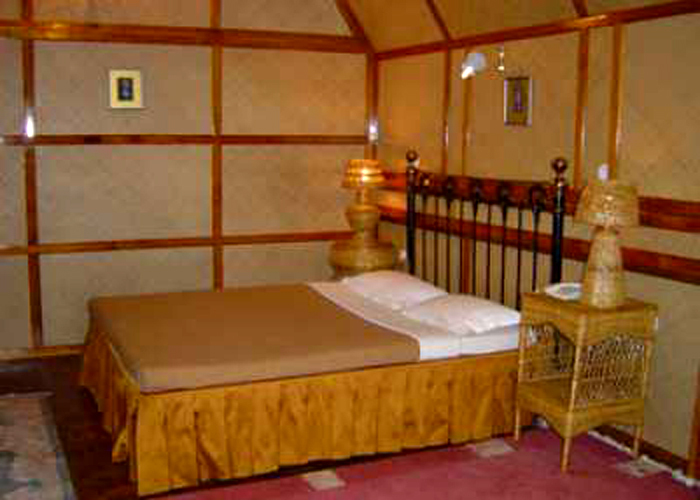 It serves as a cocoon of comfort for every type of the travelers who are on a tour to Sikkim miles away from their home. It is indeed a pleasure hub for it ensures every comfort during their stay in Gangtok.